Donna Marie Hamilton, age 67, passed away February 8, 2019. She was a kind and loving person who never met a stranger. She will be greatly missed. She is preceded in death by her parents, James and Wilma Smith; granddaughter, Sadie Leigh Parker. Those left to cherish her memory include her children, Daven Parker Gartmen, Ervin “Pejoe” Parker, III and Chaney Carol; grandchildren, Samuel “Krow” McCleery, Jr., Hunter “Bubba” McCleery, Kayley “Sissy” McCleery, Ciera Parker, Wes Parker, Brandon, Garrett, Bert, G. T., Brayleigh, Ameria Head, Vhance, Hannah and Bridget, special family Carolyn Moody, Jerrica Malone, Joshua Franks, Kris Johnson, and Lance Spivery; numerous other relatives and friends. 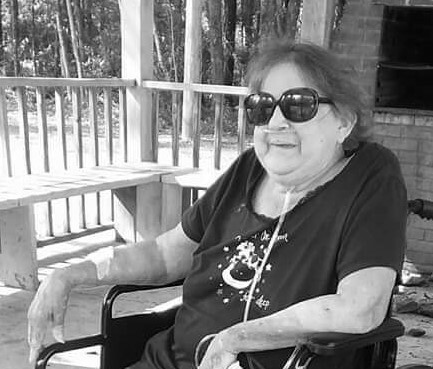 The family will hold a Memorial Service for Ms. Hamilton on Wednesday, February 13, 2019 at Wild Country Restaurant in Leakesville from 5:30 PM until 7:30 PM.